Mid June was really hot in Central California. 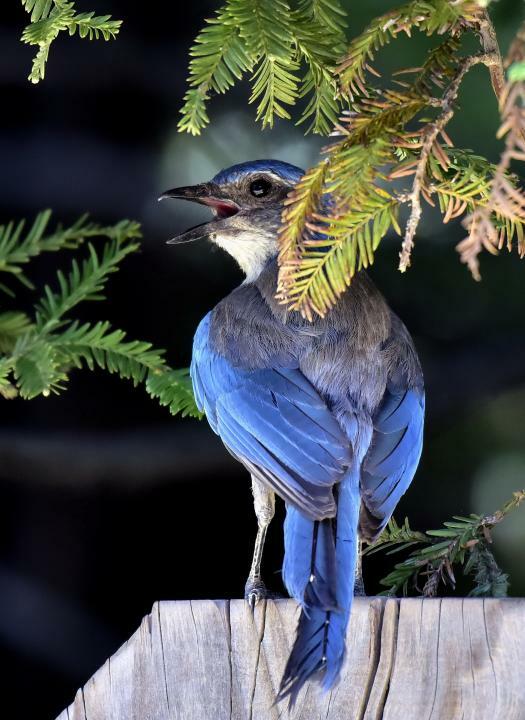 This Scrub Jay landed on our backyard fence to try and stay cool. It was actually panting in it's effort to beat the heat. I took the photo from our patio doors.